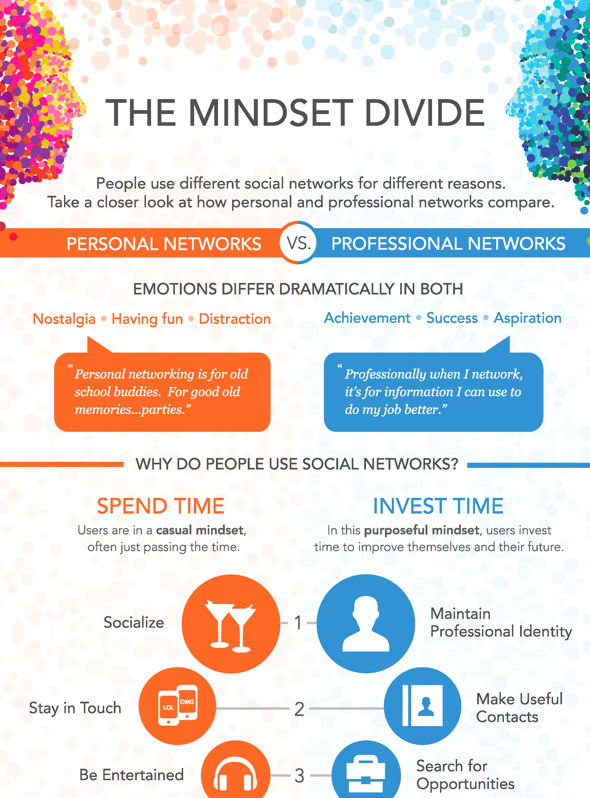 The new research emphasizes the concept of "The Mindset Divide," that social networkers have different needs, interests, and emotional drivers that put them in a particular frame of mind depending on which type of social networking -- personal or professional -- they're engaging in. And as a result, marketers must make an effort to understand what these different mindsets are so they can better align their social media marketing strategies and tactics with their audience's frame of mind on different social networks. In other words, we must learn to "market to the mindset."